As an entertainment news online media company, Concourse Media needed to be at the top of Google search rankings. But running on WordPress with rich media video and images was slowing down their sites and pushing them down Google’s rankings. 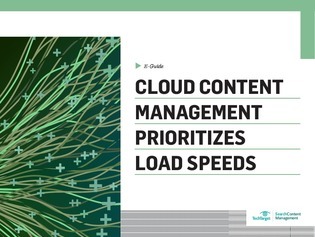 To speed up their load times, Concourse turned to a cloud content management system that offers storage, editing and digital asset management as a service. Explore this expert guide to see how Concourse benefitted from the service, including that they could provide different sizes for an image file depending on the user device.